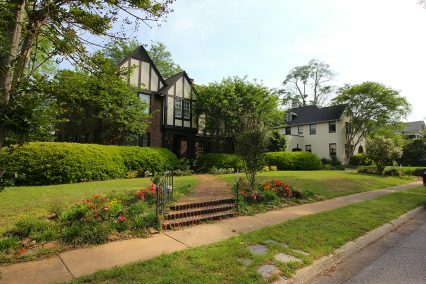 Historic homes for sale in Tuscaloosa are located primarily between downtown and The University of Alabama. Most of the historic district is walking distance to the stadium, class, the strip, and downtown. In addition to the unbeatable location, these charming homes often feature original hardwood floors, wood burning fireplaces, high ceilings, and beautiful crown molding. The area is a popular choice for game day homes, parents buying for their University of Alabama student, and investment properties. Some historic homes are zoned for Rock Quarry, one of the highest ranked public elementary schools in the state, making it a great place to live for families too. The average sales price for a historic Tuscaloosa home in the last year is $357,288 with an average cost per square foot of $153.35. Some of Tuscaloosa’s most desirable, historic neighborhoods include Dearing Place, Alaca Place, University Circle, College Park, The Downs and Pinehurst. Click here to view a map of the entire Tuscaloosa Historic District. Northport boasts many of the area’s unique, older homes. Bellwood, Northport’s most popular historic neighborhood, is walking distance from Main Ave. and Historic Downtown Northport. This area has it all- art galleries, stores, museums, and quaint restaurants. The brick street, ornate lighting, and beautiful landscaping add to downtown’s charm. Purchasing a historic home in Northport can be considerably less expensive than purchasing a historic home in Tuscaloosa. The average sales price for a Northport historic home in the last year was $217,608 with an average cost per square foot of $111.45. If you are looking for a historic home for sale in Tuscaloosa or Northport, or you are ready to list your historic property, please give us a call. We would appreciate the opportunity to help! © 2019 West Alabama Multiple Listing Service, Inc. All rights reserved. IDX information is provided exclusively for consumers' personal, non-commercial use and may not be used for any purpose other than to identify prospective properties consumers may be interested in purchasing. Information is deemed reliable but is not guaranteed accurate by the MLS or The Gray Group at Keller Williams Realty Tuscaloosa. Data last updated: 2019-04-23T22:50:21.617.